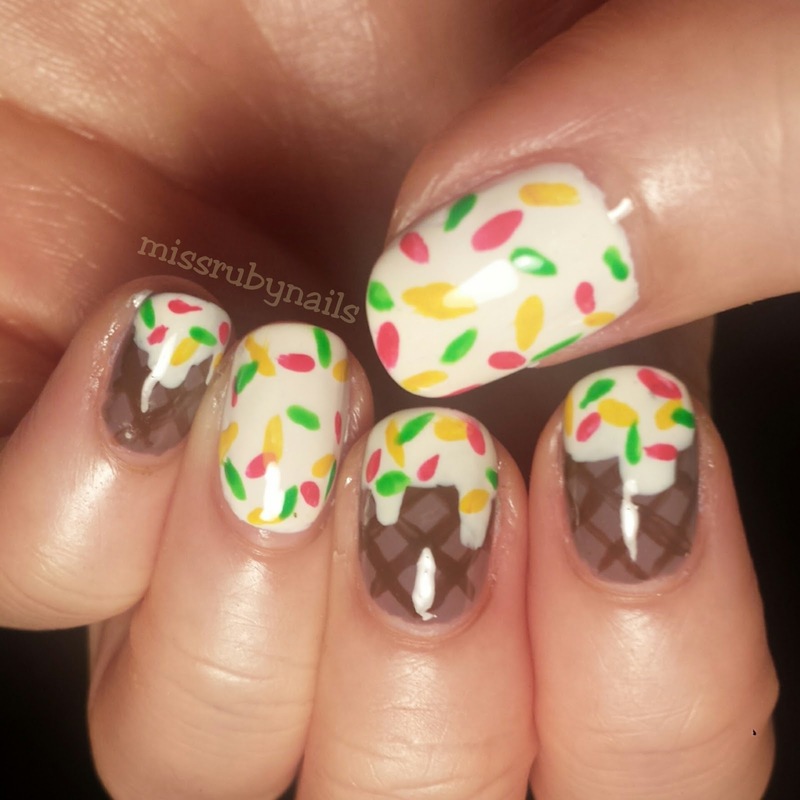 Miss Ruby Nails: Ice-cream Cone Nails! How fun are these ice-cream nails? 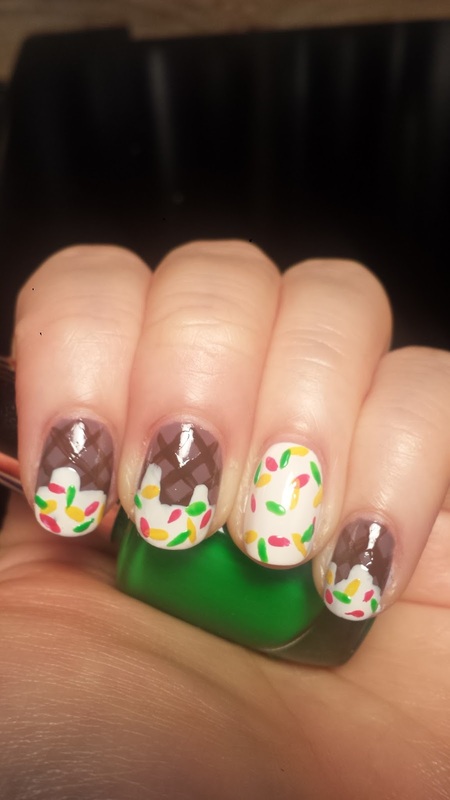 Each summer I feel like I had to make an ice-cream manicure at least once! 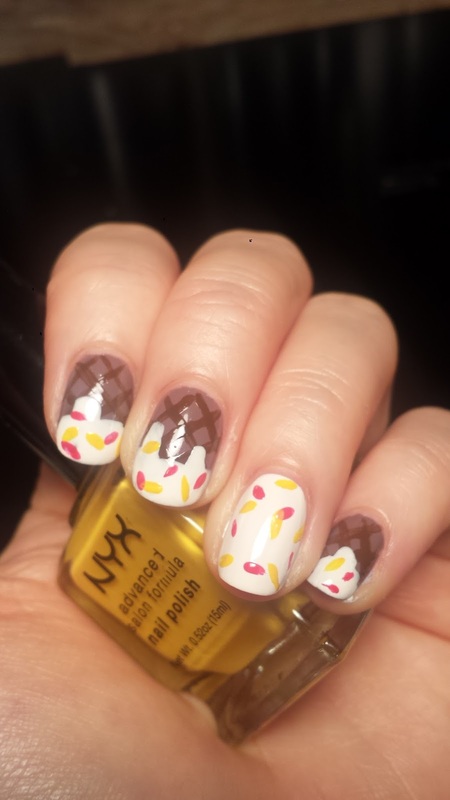 I started with a brown polish as the cone. 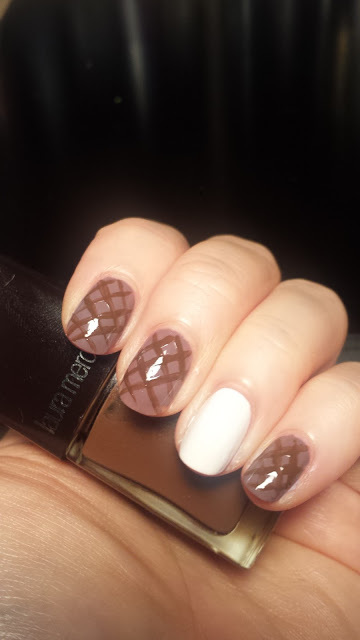 Then I used a slightly darker brown to draw some diagonal lines to make the waffle pattern. Easy! This does not need to be perfect since we will be covering most of them anyway. 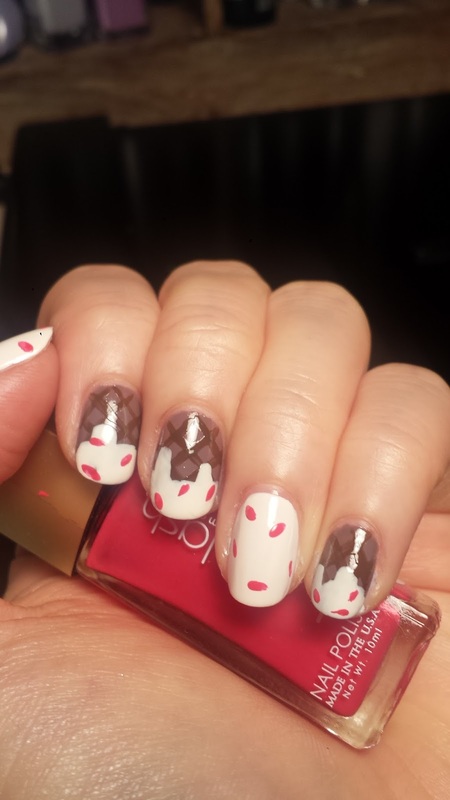 I then used a cream color to paint on the tip of the nails and "dragged" the brush randomly down the nail to create the dripping effect. 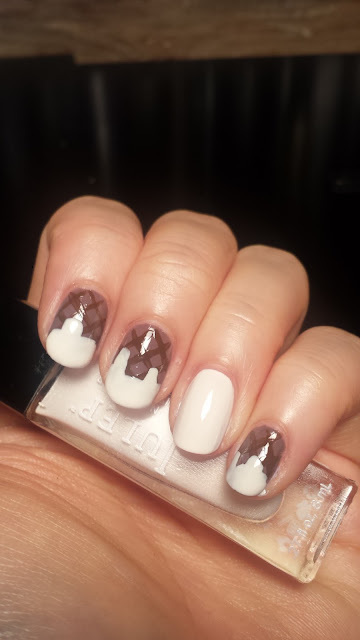 And now we are onto the fun part! 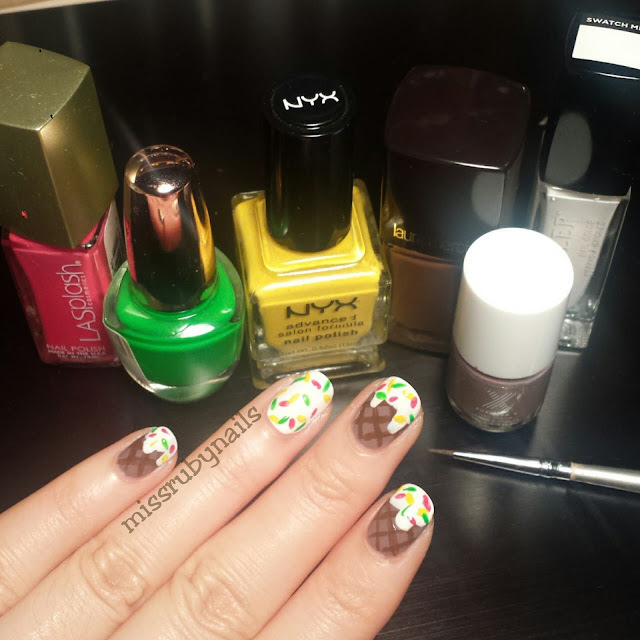 I took 3 bright colors to add onto the ice-cream as the colorful candy toppings. Here you can pick whatever bright colors you like! After applying top coat then we are done!